“Entry of the Gladiators” or “Entrance of the Gladiators” Op. 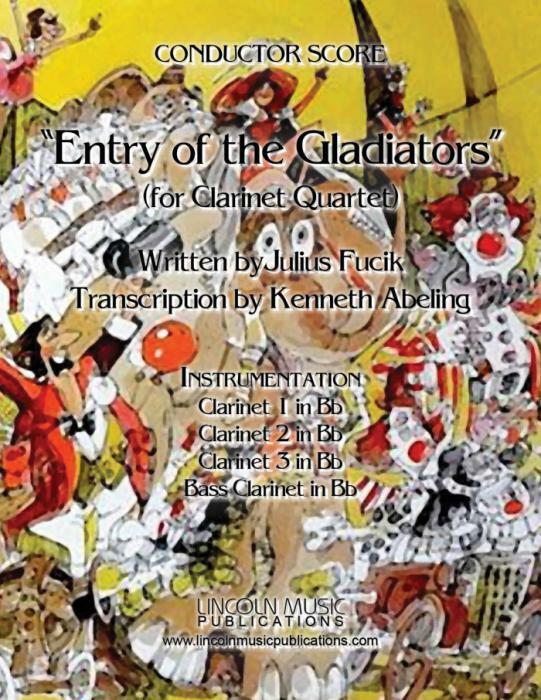 68 by Julius Fucik, transcription for Clarinet Quartet by Kenneth Abeling and also known as “Thunder and Blazes”. Although its original intent was of a more serious nature, it has become perhaps the most recognizable “Circus March’ of all time. This is a more advanced march but can be played at normal march tempo as well as circus or “screamer” march.